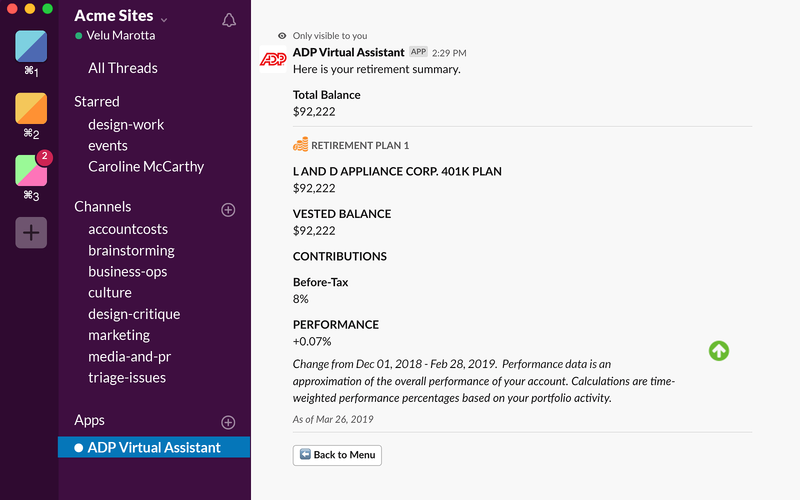 • View active benefit enrollmentsNote: This app is free to ADP clients. 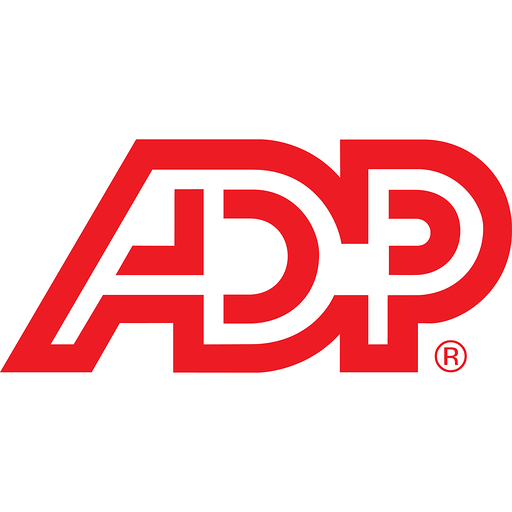 ADP is a paid service. You must be a US client to use the app. 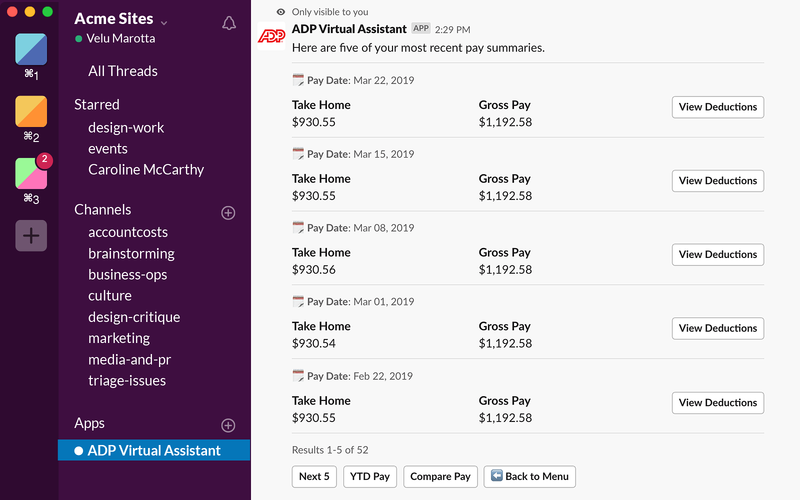 Feature capability may vary across ADP payroll platforms. 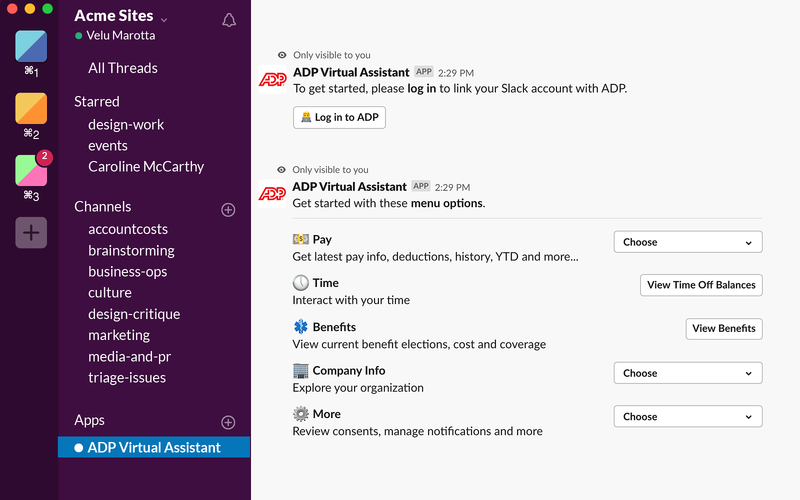 ADP Virtual Assistant will be able to send messages to your workspace. 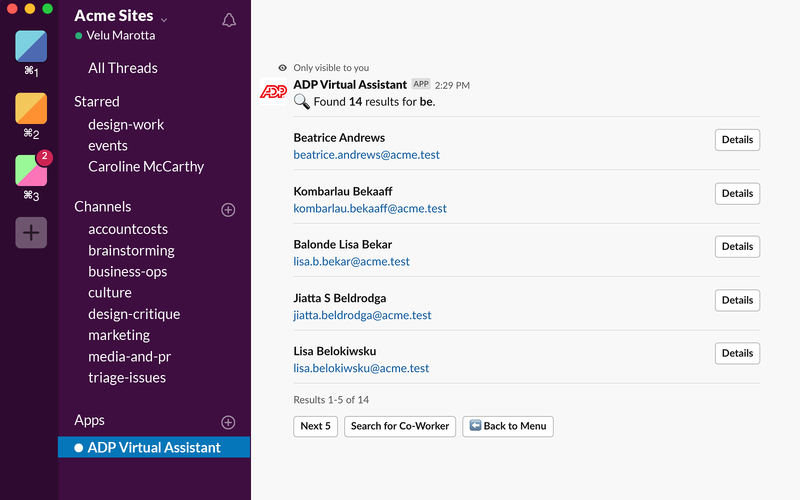 ADP Virtual Assistant will be able to access information about your workspace, including name, email domain, and icon. 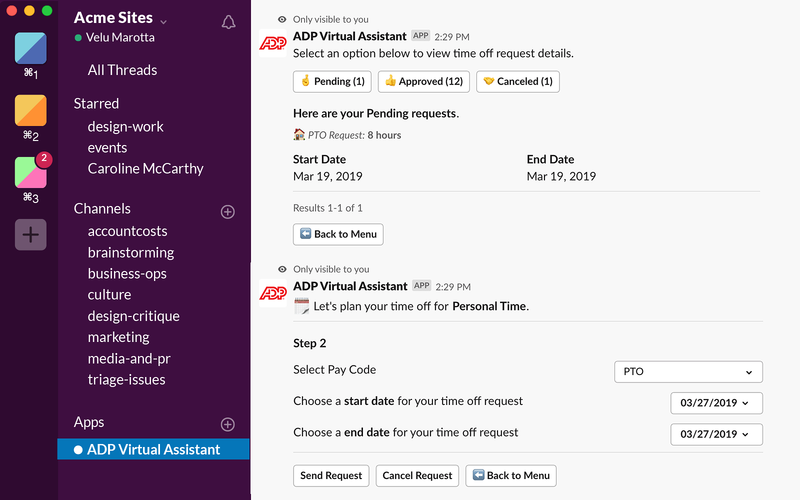 ADP Virtual Assistant will be able to install a bot user that appears in and has access to your workspace’s directory. It can also post messages and view activity on messages in any channel it is invited to. 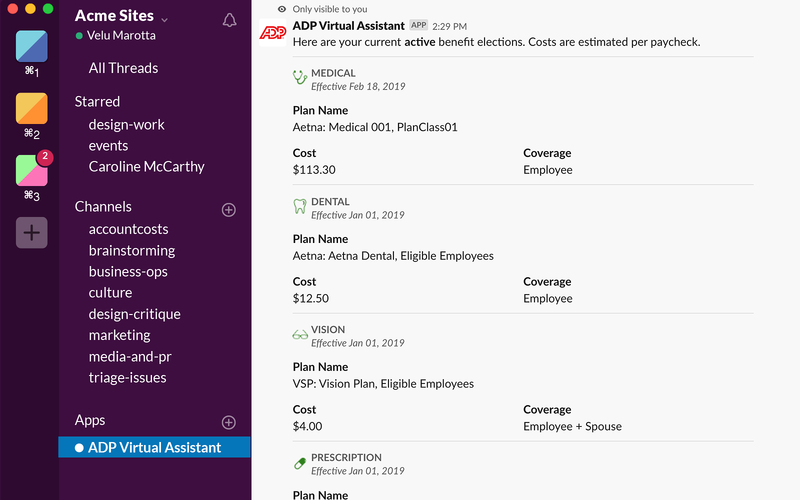 ADP Virtual Assistant will be able to access profile information for all users on your workspace, including names and contact information.